Oreshura, my yearly income is too low!? Yes, girls with OMG face. 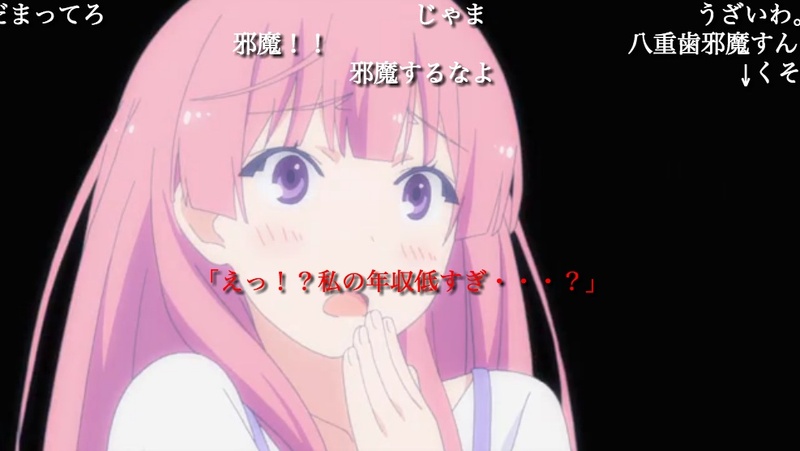 And Ai-chan of Oreshura also does that face, so some otaku put a subtitle in red that spoofs this ad. And that’s why it’s really hilarious. Yes, the fact is that too many Japanese are earning under 3 million yens (30,000.00 USD) a year, which hits the young people the hardest, especially young female labor force. And 41% of the total Japanese workers are earning below $30K a year! 41%! That’s insane! Since the lost decades and the neoliberal economic reform of Koizumi Junichirou, the income gap has gotten wider and too many people have been fallen into the abyss. Yes, that is unheard of. Where did the myth of “All 100 Million Middle Class” go? Yes, until the bubble burst, everyone shared a sense of middle class, even if you were poor. Oh yes, the mentality of “we are all salarymen!” But the bubble popped. And the first phenomenon we could see in anime is Fruits Basket, where the main character girl lives in a tent, like that infamous tent village for temp workers and day laborers under the bridge somewhere in Tokyo. And these tent villages are expanding ever. Oh yes, in America, the credit boom crashed and the housing bubble bursted. And then the subprime mortgage scam and Lehman shock, since then, everyone is having a tough time. So, I’m now confident that American otakus also understand a reference to this “Gosh! My yearly income is too low…” by heart. 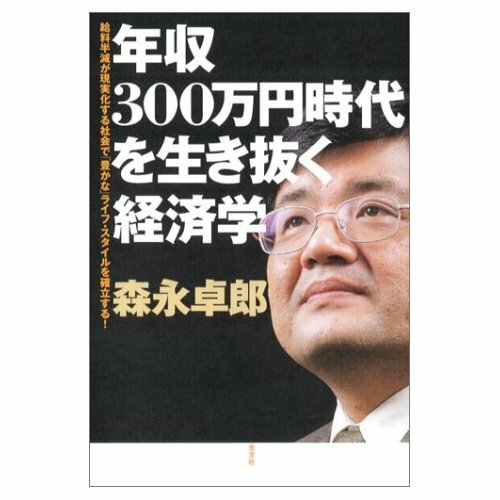 Morinaga Takuro, Moe-economist, or moeconomist, Akiba-kei economist, otaku economist, wrote a book called Economics To Survive The Era of Annual Income Below 3 Million Yens. Among otakus, he is renowned as the author of Moe-economics, or Moeconomics. 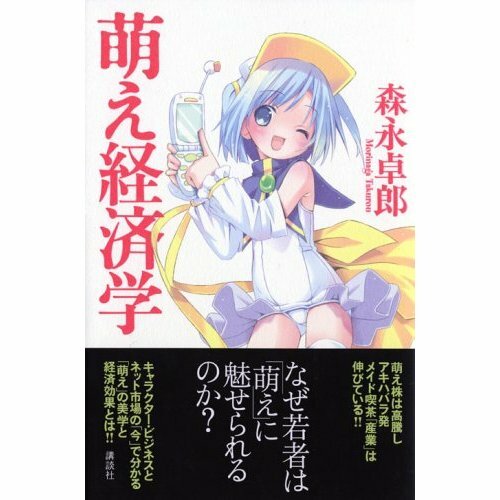 Yes, in the first above book, he talks about how bad the living standard has become in Japan, and then, in the moe book, he suggests that the business solution to all these miseries would be moe! And he gives all kinds of statistics to prove his point. But as Mark Twain said, “Lies, damn lies, and statistics.” I just can’t see moe becoming a major driving industry to get Japan out of recession. But I rather see moe as something valuable that money can’t provide and measure, but it’s more like something that gives you a meaning in life as opposed to the market based economy, which is capitalism in the United States and Japan, yes, an alternative to reality or 3D, or to me, the alternative to reality, yes, it’s indeed spirituality! So, that was the story behind the facial expression that Ai-chan was making.